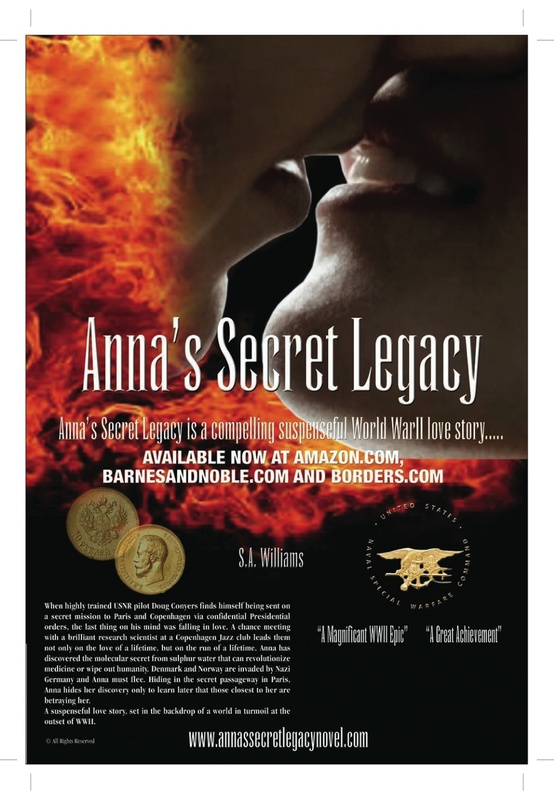 Author S.A Williams will be doing three days of book signings in Saratoga, NY at The Saratoga Racetrack for Anna’s Secret Legacy. The combination of the secret sulphur water and the thoroughbred line that runs through the book in WWII 1940, makes this a special and ideal place for Author Williams who started the book’s research there almost six years ago. This entry was posted in Amazon, Anna's Secret Legacy, Anna's Secret Legacy Blog, Annas secret legacy novel, Banks, Barnes & Noble, Book Blog, Book Signing, Borders, Gold, Love Affair, Pilots, Pressroom and events, Saratoga, Scientific Discovery, spies, Travel. Bookmark the permalink.